With the backdrop of today’s rapidly changing academic landscape, there are vast opportunities for using new technologies in scholarly work. Polly Thistlethwaite, Chief Librarian at The Graduate Center, and Jessie Daniels, Professor of Sociology at Hunter College and The Graduate Center, and a 2016-2017 ACERT Faculty Fellow, understand this more than anyone. 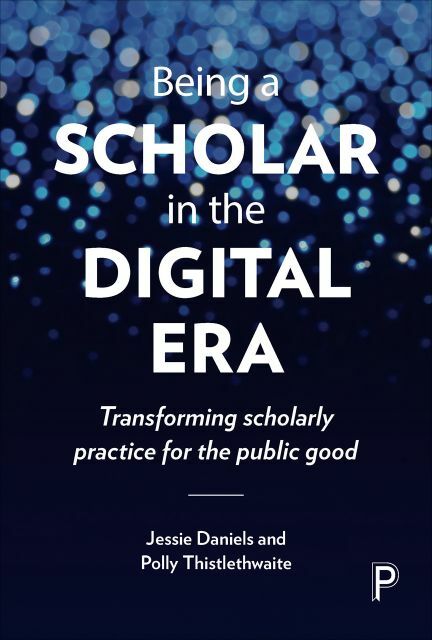 Their book, Being a Scholar in the Digital Era, explores using digital technologies to bring together academics, journalists, and activists to produce knowledge and promote social justice. The book offers readers both practical solutions and experimental ideas for extending the reach of scholarly work, especially in regards to activism and new means of communication. Jessie and Polly also hosted a Lunchtime Seminar on September 29th, 2016, titled, “Publishing, Impact and Rights: Navigating the Changing Landscape of Being a Scholar,” in which they discussed collaborating, publishing, and sharing scholarly work within the context of a digital technology application. Be sure to check out ACERT’s calendar of events for other exciting developments within Hunter’s academic community.